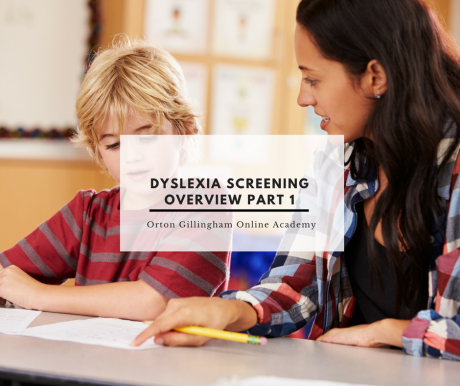 I often see questions about dyslexia screening on forums and Facebook pages, and there is never the time to address them in the detail I would like. 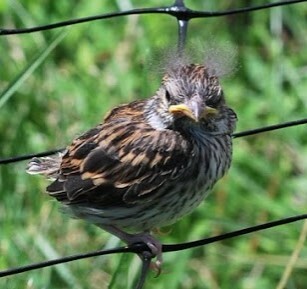 I’m hoping I can do justice to the topic here in a series of five blogs. We know that about 80% of the school population is able to learn successfully from general education instruction, which leaves 20% for whom regular public or private school is not working. How do we determine whether or not a child is likely to succeed in the system, without waiting for them to be old enough to fail and be disillusioned? One answer is universal screening. Universal screening measures are designed to quickly divide students into one of two groups. 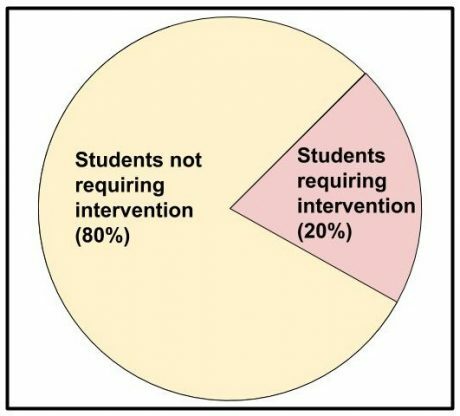 Figure 1: Proportion of Students Requiring Intervention. It might sound like a tall order but these kinds of screenings are actually quick, easy and surprisingly accurate. If all children aged four to six are evaluated we can figure out which of them is showing signs of problematic early reading development. The chosen universal screener should include tests for both phonemic awareness and rapid automatic naming, which are the best predictors of future reading success. If the child is already along in the reading process, fluency should be evaluated too. The mechanics of the test, and what else to include, depends on the age of the child being assessed. For example, a kindergartener would be assessed for letter naming fluency, whereas a first grader would be assessed for this and letter sound fluency, and children in second and third grade would be assessed for oral reading fluency. Figure 2. Why is it important to intervene early with struggling readers? As my blogs (here and here) on dyslexia explained dyslexia is a neurobiological disorder and research has shown that brain plasticity decreases through childhood. Extensive evidence exists to support the assertion that early intervention is critical. The psychological and clinical implications of poor reading development can be prevented or at least minimized if we identify and intervene as early as possible. Children can then avoid the “wait and fail” approach that leads to frustration, pain, and a loss of self-esteem. ● What to include for each grade. I’ll also list the most common screeners and analyze their pros and cons, along with where you can discover more about each one. In 2014, New Jersey passed a law requiring all schools to screen for dyslexia, and many grassroot organizations, such as Decoding Dyslexia, are pressuring other states to do the same. The screening law in New Jersey describes the reasons a student would be screened for dyslexia. 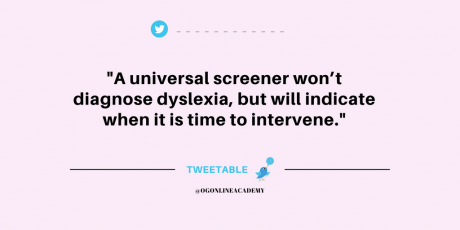 A universal screener won’t specifically diagnose dyslexia, but it will indicate when it is important for parents and teachers to intervene. 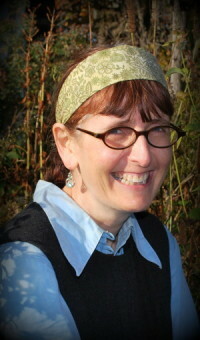 At this stage intervention or, for older students, remediation should begin. Additionally, any student that has shown evidence of these potential indicators must, by law, then be screened for dyslexia. A dyslexia screening would screen for age appropriate skills in the following areas. 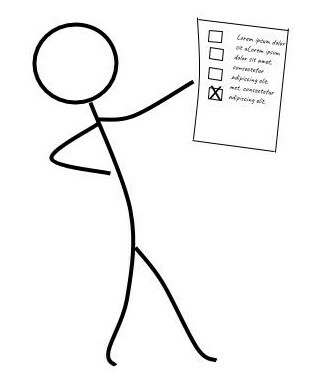 A future blog will include a more detailed list of potential indicators of dyslexia as well as detailing the components of screening, and I will make recommendations of tests that can be used to assess these areas. My next blog will continue this overview by discussing what is included in a comprehensive dyslexia assessment.